Pierre Frey is a Paris-based design studio, specialising in wallpaper and textile design in the French tradition. Collaboration with artists is a longstanding trademark of the family-owned house – a tradition fostered by Pierre himself, who would purchase artworks within the artistic circles he was part in post-war Paris, and create fabrics inspired by them. Today his grandson Pierre pursues this approach, launching new textile projects with international design talents across the family’s four collections : Pierre Frey, Braquenié, Fadini Borghi and Boussac. Pierre Frey presents a limited edition three-piece wallpaper design featuring “No Toys Allowed”, a painting by American graffiti artist Toxic, also known as Torrick Ablack. 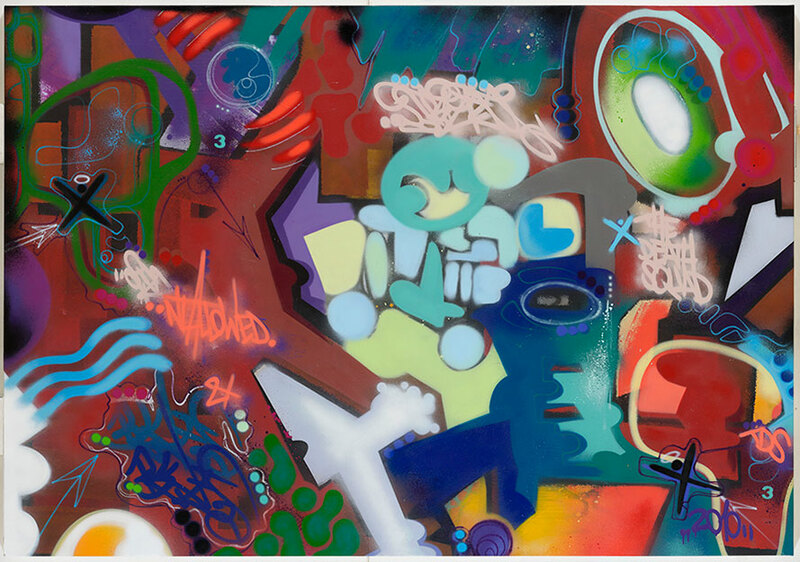 Toxic is considered one of the seminal members of eighties New York street art scene and a peer of both Jean-Michel Basquiat and Andy Warhol, whose artworks capture the youthful energy of Bronx rebellion. “No Toys Allowed” represents the aesthetic meeting point of Pierre Frey and Toxic - its vivid, graphic tableau layered with neon typography and bold, cartoon shapes in a colour range inspired by the Bauhaus theories of Swiss painter Jonathan Itten.